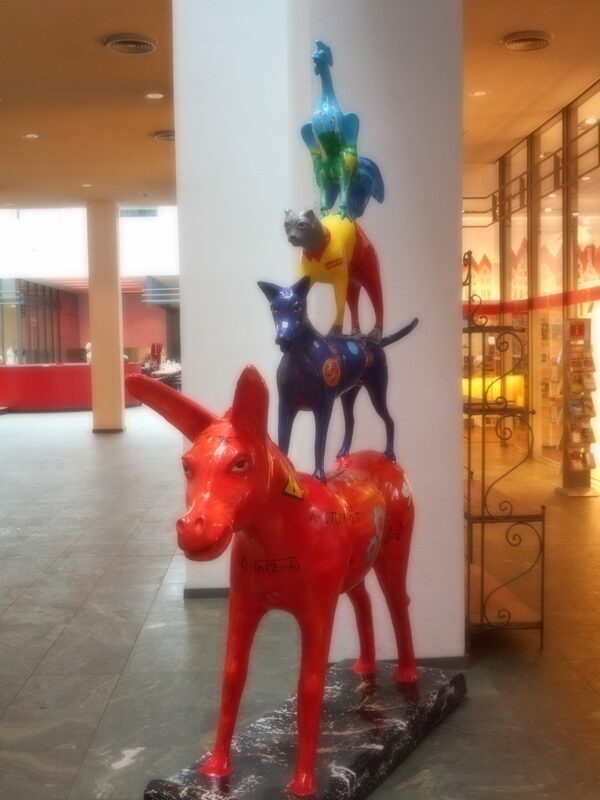 I’ve always been partial to the story of the Bremen Town Musicians. 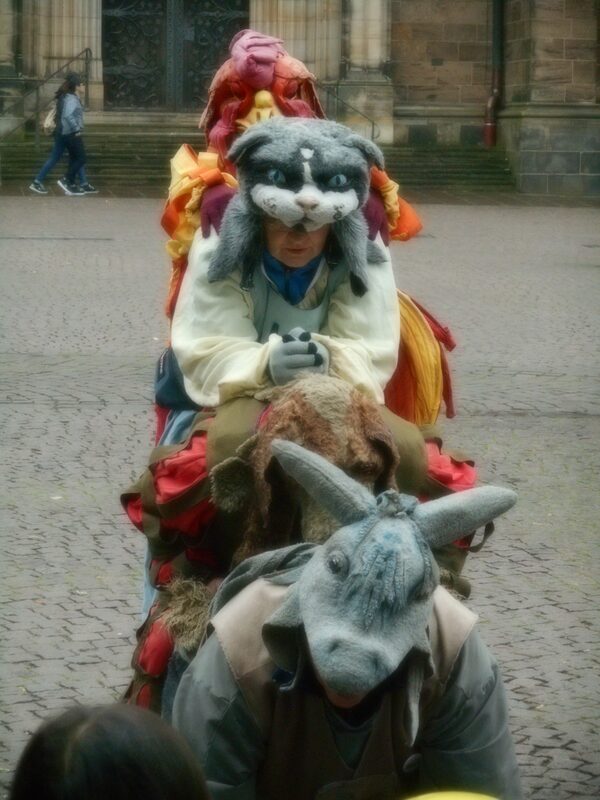 That Brothers Grimm fairy tale is about the domestic animals that were turned on by their masters after years of loyal service. These animals (a donkey, a dog, a cat and a rooster) meet, learn how much they have in common and pull together as a team. Now that I’m older, what resonates is the tendency to disregard the usefulness of the older workers. Some social scientists say the Brothers Grimm were speaking to the post war alienation of living when your world no longer exists. 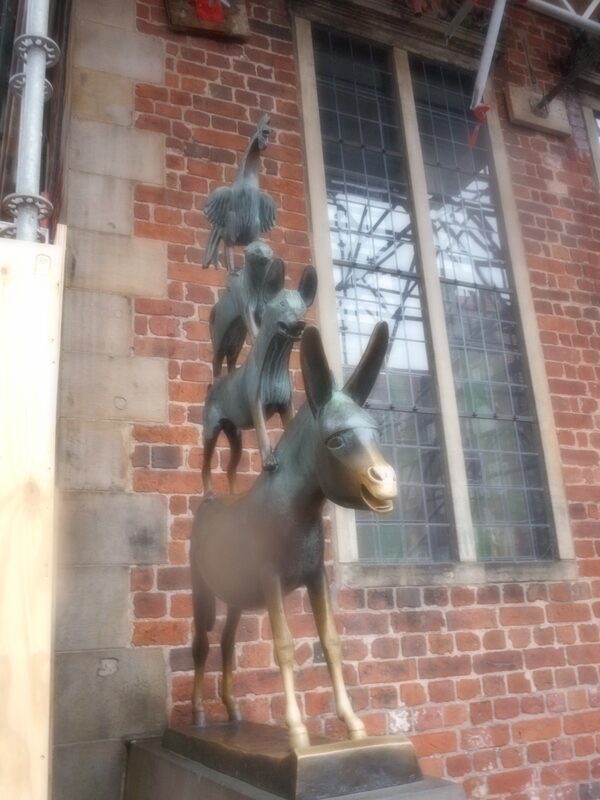 At any rate, I spent some days in the German town of Bremen just because of this favorite story. In the town square, a statutory tribute stands. It’s odd what pulls one toward a destination. I had to get to the Tower of London if only because that is where Anne Boleyn was beheaded. I had to get to Rouen because that is where Joan d’Arc was burned to death. I recall just having to get to other places because of a song. When I get close to a place like Westminster Abbey, Winchester Cathedral, Marrakesh, Chattanooga or Katmandu, I just have to keep going and get there. I know those songs! Conversely, sometimes, I am drawn to a story or song because I am traveling to a particular destination. Would I have learned about the tale of Tanooki outside of preparing for Japan? Or memorized all the verses to “The Arkansas Traveller” if I didn’t take a road trip around Arkansas? Probably not. I learned all the words to Merle Haggard’s song, “Okie from Muskogee,” and then set out for Muskogee, Oklahoma. I don’t need much of a reason to set out!